Well, Thanksgiving came and went... and fast! It was a wonderful holiday and I have plenty to be thankful for. On Thanksgiving, today, and everyday, I give thanks to my wonderful family, my dear friends (many whom are like family,) my freedom and those who fight for it, the things I get to see, touch, smell, and hear everyday and most importantly, God. Todd, (my co-pilot, co-chef, best friend, and the love of my life) was severely injured in a horrible motorcycle accident this past spring. I give an extra special big thanks to the man upstairs who gifted him with more time on this earth. After months of recovery, he is finally back to 100% and I couldn't be happier. I know a lot of you who read this blog were the ones praying, supporting, calling, cooking, baking, and thinking of him during his recovery and I would also like to give thanks for you! We couldn't have done it without you. Moving on from turkey day only got me excited for what soon follows... Christmas! Yet another season to be so thankful for what we have in life and that includes memories of loved ones that stir from your kitchen. 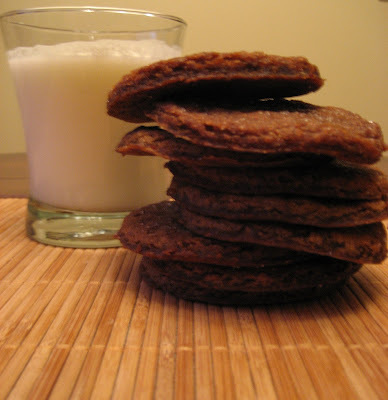 First on my craving list this year was molasses cookies, a craving that initially started at my grandma's house when I was itty bitty. 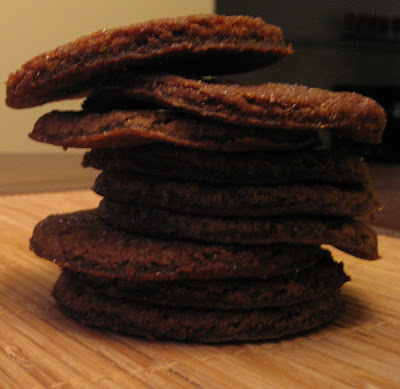 I remember my grandmother making them by the dozens and since my early twenties I have been trying to re-create her molasses cookie. My grandmother's always stayed soft.. even after a few days and her texture was so perfect! They were so soft, spicy, and so chewy... the absolute BEST combination! I will say, it's not hard to make a molasses cookie as they all taste like molasses but finding one that stays soft after they cool is another story. Finding one to stay soft AND bring me back to being a kid at grandma's house was difficult, but this recipe is as close as I will ever get. If you're like me and need a soft and chewy molasses cookie versus those store bought hard-as-a-rock things they call cookies...then look no further, it has arrived! In a large bowl sift or whisk together the flour, baking soda, salt, and spices. In the bowl of your electric mixer, with the paddle attachment, beat the butter and sugar until light and fluffy (about 2 - 3 minutes). Add the oil, molasses, egg, and vanilla extract and beat until incorporated. Beat in the flour mixture mixture until well incorporated. Cover and chill the batter until firm (about 2 hours or overnight). Preheat the oven to 375 degrees F (190 degrees C). Line two baking sheets with parchment paper. Place about 1 cup (200 grams) of white granulated sugar in a medium sized bowl. Remove from oven and cool on a wire rack. Store in an airtight container for up to a week.